One of the Democratic Party’s leading tech companies has raced to reverse the engineering on one of its key tools to help organizers more easily collect data from demonstrators and build on protests against President Donald Trump. NGP VAN is out this week with a significant update for MiniVAN, a phone app used by field organizers that provided voter lists for door-knocking shifts (and ways to record interactions). 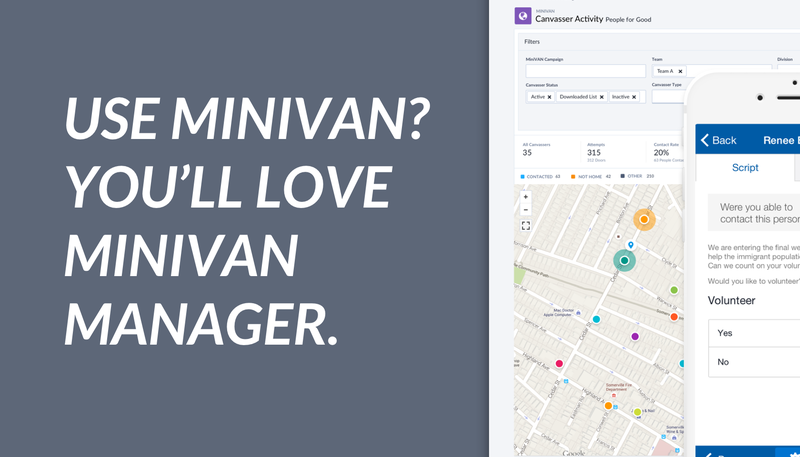 After the update, users will be able to use Street Team Canvassing, a function within MiniVAN, to take down new names and contact information from participants at an event or protest, instead of recording data points on names already in the system. The new information will instantly flow into NGP VAN’s database, which supports most Democratic campaigns and organizations. “All of that data goes back to VAN, which makes it seamless to follow up with them, spur them on to further action and keep track of all the enthusiasm that’s out there,” Coulombe continued. Coulombe said NGP VAN was already developing the update to MiniVAN before Trump was elected, but it “happens to have landed in this moment where it’s going to be very useful for the progressive community,” she added — and not a moment too soon for some Democrats who thought the party didn’t fully take advantage of events like the Women’s March in Washington in January. [Potential beneficiaries of] the Street Team Canvassing tool include Michael Bloomberg’s Everytown for Gun Safety and the Center for Community Change, which was involved with the pro-Democratic Immigrant Voters Win PAC in 2016. “We haven’t had a great way to add people from scratch, so now we have that, which is huge for us,” said Brooke Heller, Everytown for Gun Safety’s data director. “... We have the ability to collect brand new information at these rallies with huge numbers of people — as opposed to your standard clip board — in a cleaner, faster way,” she added. 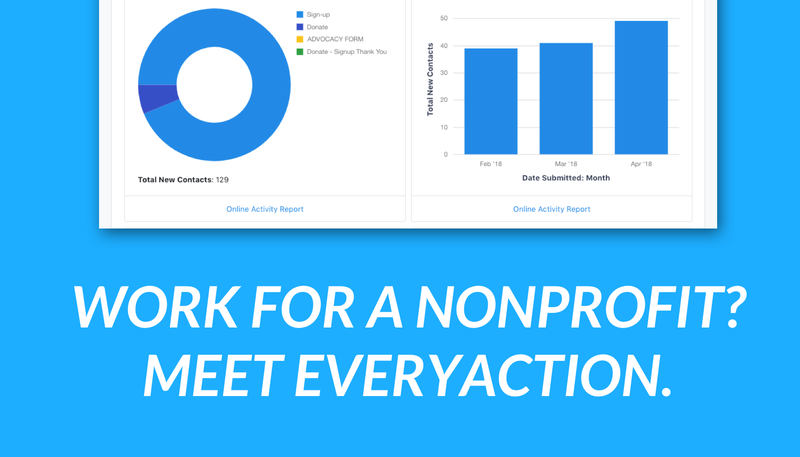 NGP VAN is also rolling out a tool, called “Social Advocacy” that allows groups to organize social media messaging and pressure leaders over Twitter. Oxfam America and the Women’s Refugee Commission are already using it. 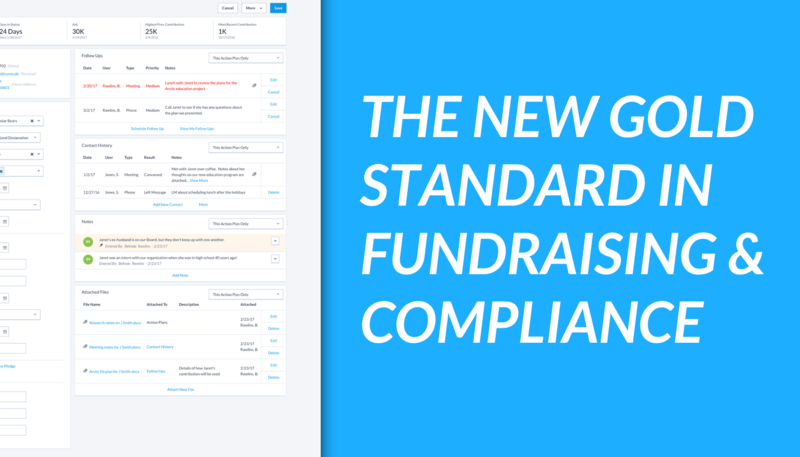 Want to learn more about how our new tools can help the resistance? Shoot us an email here!